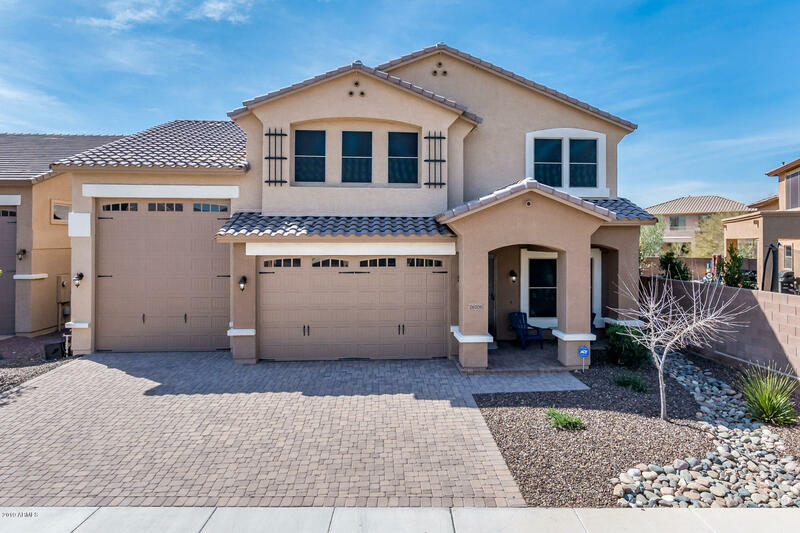 All ROCK SPRINGS 3 homes currently listed for sale in Peoria as of 04/23/2019 are shown below. You can change the search criteria at any time by pressing the 'Change Search' button below. "Beautiful RV Garage home with all the upgrades in a gated community! Custom butler bar, pot filler, additional veggie sink, oversized island and gas range make up the picture perfect kitchen. This 3 bedroom, 3 full bath home is tucked away in a small, family orientated neighborhood. Front office/flex space with custom barn doors! Three oversized bedroom upstairs with a loft/playroom. Master bathroom with en-suite bath containing double vanity, shower, tub and huge walk in closet. Large fully lan"